What's to love on a Monday morning? For me, it's generally the simple things like a steaming cup of coffee and a perky Sophie-Dog. Today I want to share a couple of things that I can't wait to dive into this week. 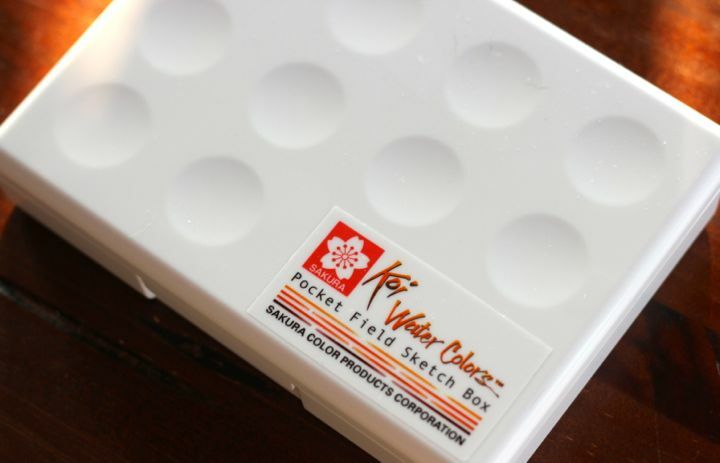 First, the Koi Field Pocket Sketchbox. 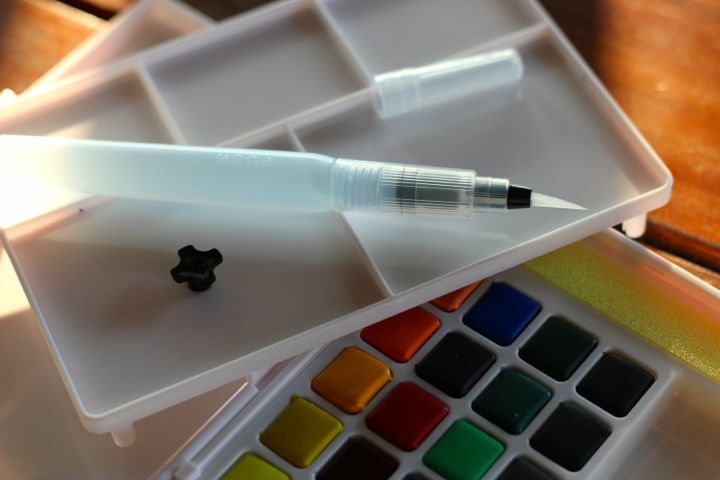 A traveling companion for sketchers and doodlers like moi. This little brush has a tiny water tank in the handle. No additional water needed! Cool or what? 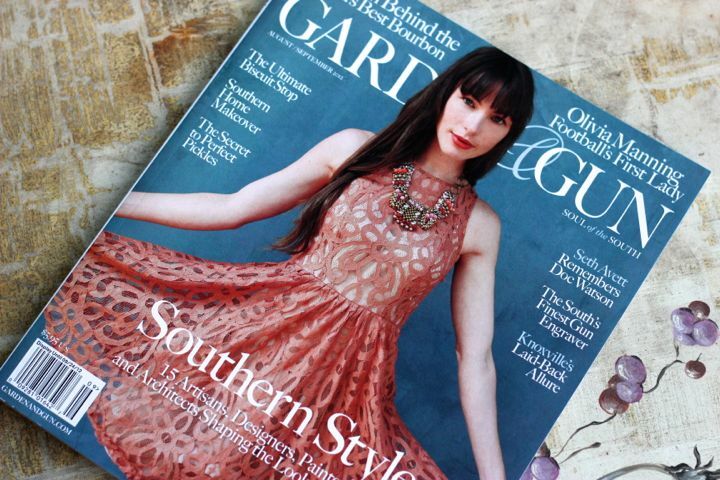 Garden and Gun is a beautifully written magazine. 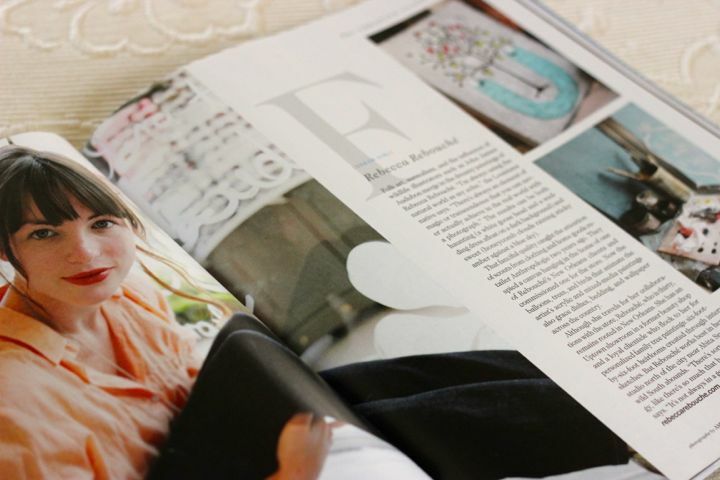 They normally have great artisan features, but this month's issue features fifteen artists, from painting to letterpress. (additionally) This morning I jump back into the studio to complete a slew of leather bags and begin another group as the week goes on! Jeff says that I can't come back to Cincinnati until I finish my work - so he's the little elf standing behind me providing bribes encouragement. Haha - gotta love the man. So, in the evenings when I'm pooped from studio work, I'll get to enjoy my two new treats. That's what I'm loving this beautiful, almost September morning. (Can you believe it?) Do tell me what you're loving these days? 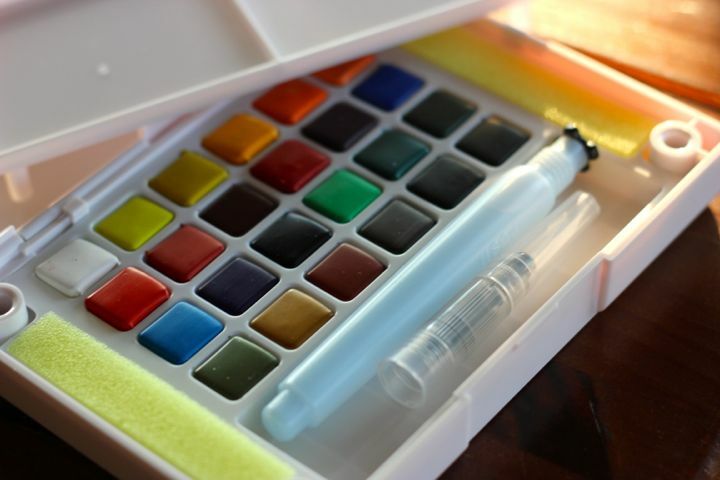 I love the watercolor set and just added one to my Amazon list. ;) Thanks for sharing it! Garden and Gun? That sounds VERY Southern! I am loving SILENCE AND SOLITUDE this Monday! !